It’s a bright fall morning and customers steadily come and go at Egypt Star Bakery. He also picked up a dozen glazed donuts, all neatly packed into a white cardboard box with the attendant’s deft swish of waxed paper. As he heads for the door, Frank suddenly pivots, remembering to go back for a loaf of Vienna bread. “You can’t beat their Vienna bread,” he says. 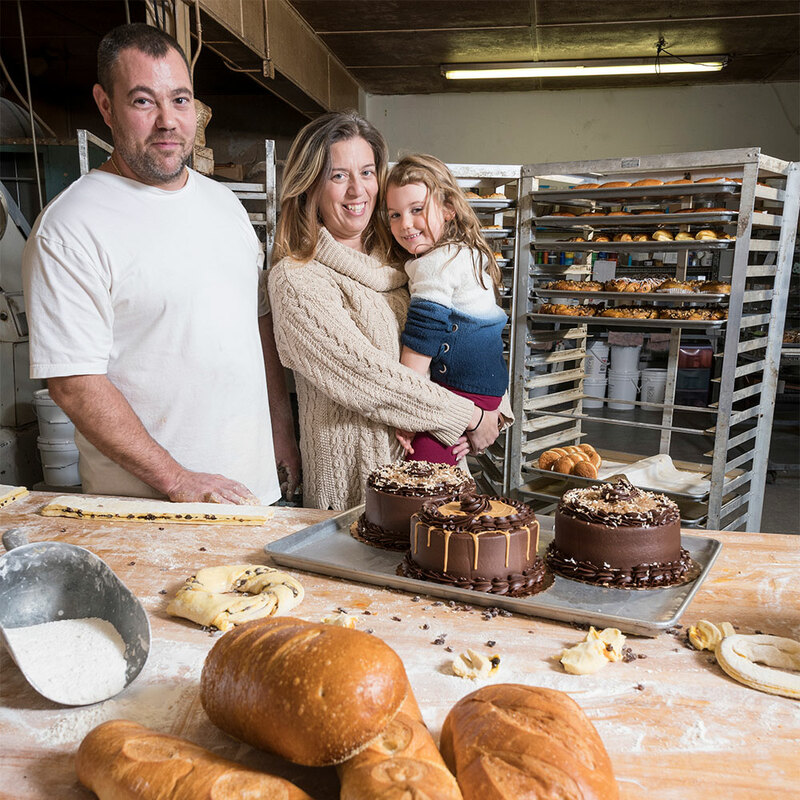 A local landmark since the early 1930s, the family-owned Egypt Star Bakery continues to follow the same high-quality standards established by its founders, Mary Zdrofcoff and her husband, Steve, who started Star Bakery in Egypt in Whitehall Township. After it was lost to a fire, they purchased the Star Baking Co. and moved to Allentown, merging the two names to establish Egypt Star Bakery. You can still see the original Star Baking Co. name embedded in tile at the doorway. Beth’s mom, who took over the operation in the 1980s, worked at the bakery and considered Mary to be family. Les’ father also worked there on and off for 40 years. 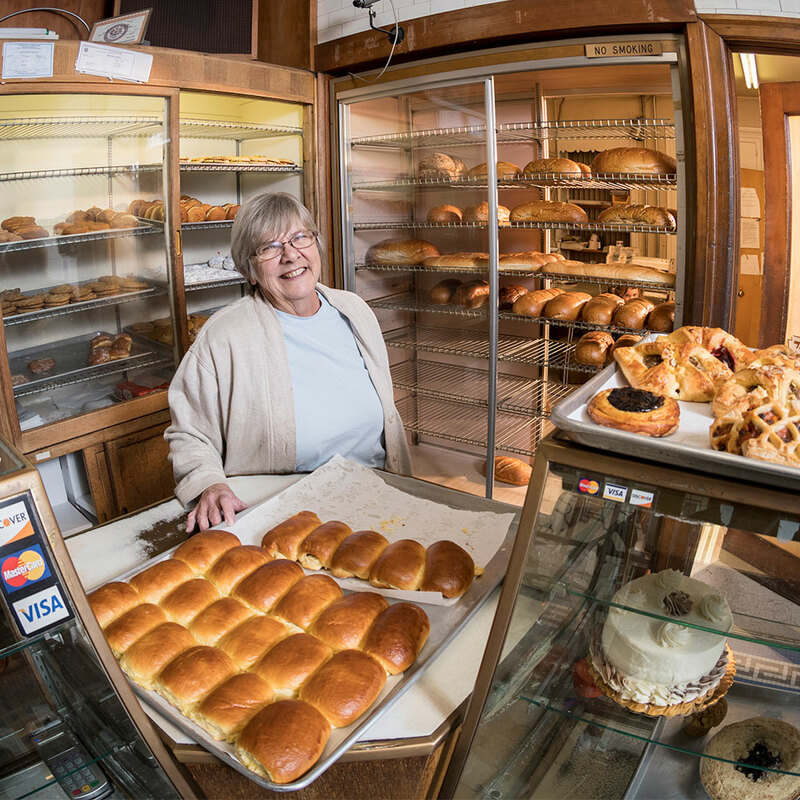 “Mary was frugal and took immaculate care of everything at the bakery, never wasted any ingredients, and would always sit down with the bakers to visit and tell stories,” Beth says. Many of the 30 employees have worked at the bakery’s three Lehigh Valley locations for a long time, mostly because a friend or family member worked there. “We’re like a family,” Beth says. Mary Zdrofcoff’s devotion to quality, customer service, and baking by hand are still treasured ways of doing business at Egypt Star. Most of the bread is still rolled and kneaded by hand, including the signature Russian rye. 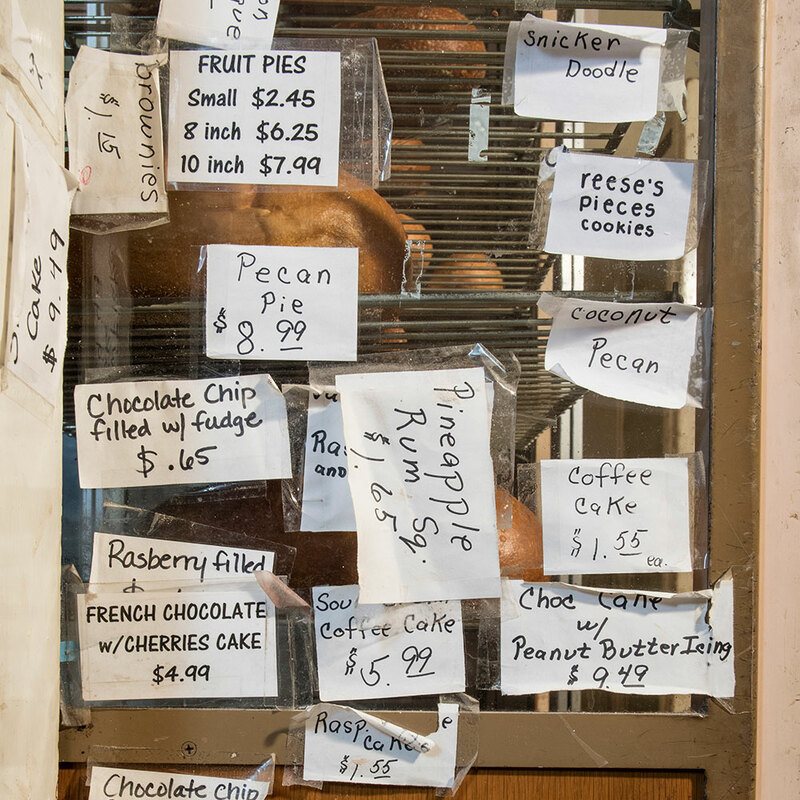 Everything in the display cases makes you drool, from the sparkling sugar on the buttery, braided heilige streusel to the cream puffs and cream donuts, cannoli, chocolate cakes, apple turnovers, nut rolls, kiffles, tea biscuits, and, well, you get the idea. 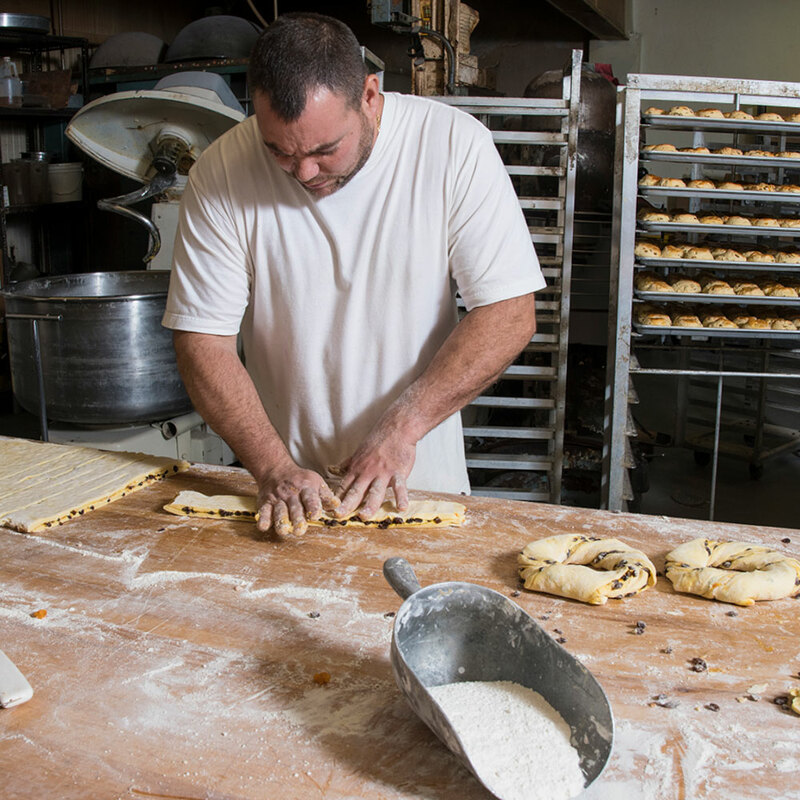 Egypt Star Bakery also makes lovefeast buns for several local Moravian churches, including Central Moravian and Edgeboro Moravian in Bethlehem. They’re slightly sweet, yeasty raised buns that pair well with coffee, which is also traditionally served at a Moravian lovefeast, a special worship service composed of hymn singing and a shared simple meal. The operation is nonstop throughout the year, starting at 3 a.m. every day. “Central Moravian Church gets 70 to 80 dozen and comes with a van to pick them up,” says Beth, adding that the store often sells extras when the orders are placed and baked. For the holiday season, Egypt Star makes cut-out cookies and stollen, a candied fruit bread that’s enjoyed in Germany at Christmastime. Egypt Star’s pies, cakes, and strudel are always popular around this time of year, too, Beth says. After Christmas, one of the bakery’s biggest sellers is its fastnachts, which fly off the shelves before, during, and after Fat Tuesday during Lent. Egypt Star uses a traditional potato dough recipe and stuffs the fastnachts with cream and jelly. You can find them glazed as well as the traditional powdered. Last year, the bakery turned out 3,600 dozen fastnachts to satisfy seasonal sweet tooths across the Lehigh Valley. “It’s one of the craziest times of the year for us,” Beth says. 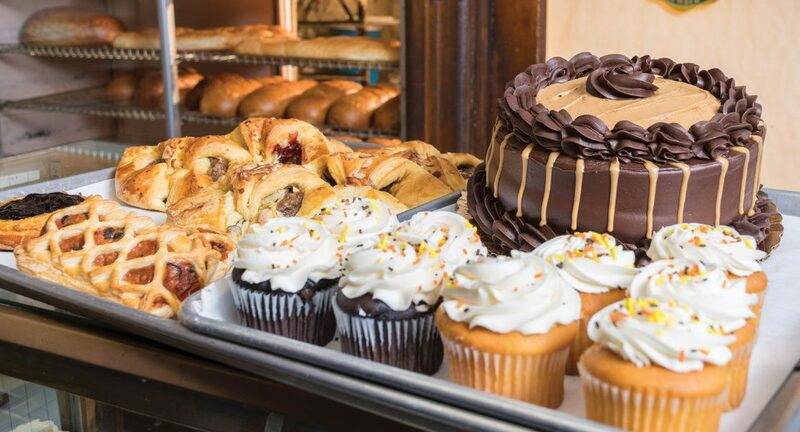 All of the baked goods come out of the large original gas and coal-fired ovens behind the shop. They’re kept running constantly, and you can feel the heat radiating off them. Beth opened the heavy oven doors to reveal a deep, cavernous baking space that still delightfully smelled of crispy, baked bread. She said the coal ovens can accommodate up to 200 loaves of bread at a time. On racks near the ovens are an array of well-seasoned pound cake and muffin pans and Danish rings. A donut fryer and massive mixers stand ready for new batches of sweet and savory products. On this recent Saturday, Les was hard at work fixing a blade in a vintage bread slicer. In addition to its retail sales, Egypt Star does wholesale deliveries to mom and pop stores from Allentown to Lehighton. It also ships all over the United States and serves the occasional customer who makes a deliberate detour on their travels. “Our farthest customer comes from Texas, and he picks up our seeded rye whenever he passes near the Lehigh Valley,” Beth says. Asked what drives the business after all these years, Beth quickly points out that once a tradition is in your blood, it doesn’t easily go away, despite the long hours and hard work.